Photograph of a brown oak (Quercus sp.) 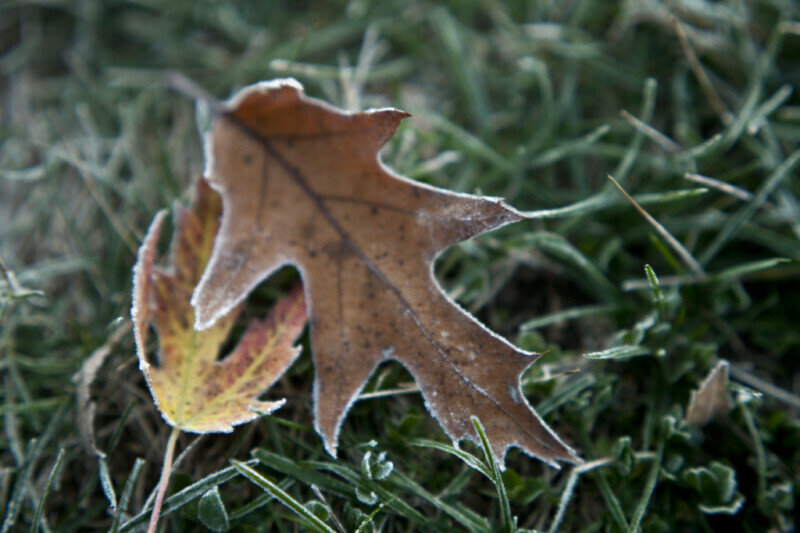 leaf with frost around its edges. Keywords: autumn, brown leaf, fagaceae, fall, frost around edges, oak, quercus sp.